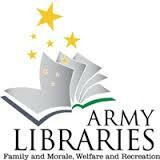 DoD provides a number of library databases, ebook collections and other library resources across the services, through the Military OneSource portal. A username/password account is created for authentication, making it easy to access when you aren't using a CAC-connected device. New users can find the registration link on the main login screen. Once you are logged in, select the MWR Library Resources link from the left side menu. Resources are comparable to those offered through Navy General Library Program but are available to all service members and their families. From the library FAQs: Pentagon Library services are available to DoD personnel who are stationed at the Pentagon, Mark Center, and National Capital Region (and only if not serviced by another government library in the NCR). Instructions for obtaining a card and online access are available on the library website. If you are a member of Coast Guard or a DHS employee, you can use the DHS Connect portal to access numerous DHS-sponsored subscription databases. Find the "Library" link on the horizontal menu bar on the portal home page. The "Journal Articles" sublink will bring you to the available databases. Note: Coast Guard service members and civilian employees can also use Navy Knowledge Online.